Smart gardeners are always on the lookout for new and interesting produce to cultivate in their landscape. In the case of Caihua, the fruits are similar to cucumber but more trouble free. 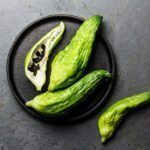 The Caihua stuffing cucumber is an excellent substitute for a regular cucumber with the added benefit of a pouch-like body that accommodates stuffing and filling. 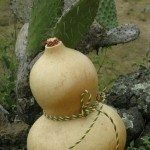 Read on for important Caihua plant info on growing and eating this interesting South African plant. 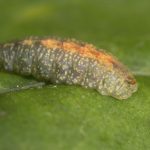 Late season cucurbits tend to be coated in mildew, besieged by insects and, in general, a garden nightmare by the end of the season. This is when you are busy harvesting, canning and eating your way through your biggest crops. Knowing how to grow Caihua will eliminate much of the drama associated with cucumber crops. These reliable fruits are generally trouble free and tenacious. 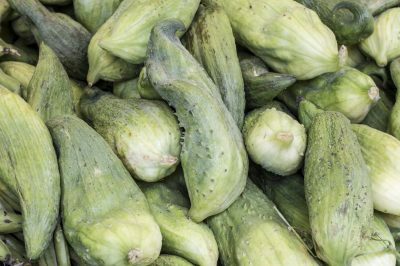 The Caihua stuffing cucumber (Cyclanthera pedata) is also known as Achocha, lady’s Slipper, wild cucumber, slipper gourd, caigua and many other colorful names. It hails from South America and was a documented important part of Incan cuisine and life. 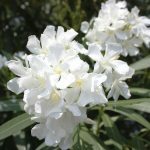 Plants are annuals in much of North America but are perennial evergreens in tropical, Mediterranean and temperate climates. The plants are commonly cultivated as food in the Caribbean, and South and Central Americas. Caihua is a climbing vine, up to 40 feet long, with edible pods 4 to 6 inches long and up to 3 inches wide. Fruits may have flexible spines, which are not dangerous and are edible. Pods are hollow with black seeds and considerable pith. One of the more popular uses for Caihua is as a stuffed vessel for cheese, vegetables, or even meats. Growing stuffing cucumbers requires well-draining, loose soil in full sunlight. In most regions of North America, it is best to start them indoors 6 weeks before moving outside. Cultural care is very similar to regular cucumbers and tomatoes. Keep evenly moist and apply a good tomato fertilizer just before the plant blooms. Powdery mildew and other common cucumber problems are not as prevalent, though many of the same insect pests plague Caihua. Use a non-toxic pesticide or simply pick and squish methods to combat insect foes. Vines will benefit from some training as they grow. This also helps fruit get the best exposure for ripening. Harvest fruit as it ripens. Pods will be yellowish green when ripe, but unripe fruits are also edible, just not as sweet and juicy and a bit more astringent. Caihua is an ornamental plant with attractive palmate leaves, but one of the primary reasons for growing stuffing cucumbers is as a food. 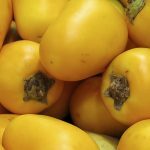 In its native region, the fruits are often stuffed with meat, fish, or cheese and then baked much like a stuffed pepper. The pods are also often pickled and make excellent salsa or preserves. The seeds can be used to make a tea to combat high blood pressure, control cholesterol levels and minimize obesity. Juicing the plants yields a popular medicine that can combat diabetes, circulation problems, hypertension, tonsillitis, arteriosclerosis, and used as a diuretic. The seeds and fruits also seem to have gastrointestinal benefits and, when boiled in oil, make a topical analgesic and anti-inflammatory. The roots are used in their native region to clean teeth. This beneficial plant is durable, immune to most cucumber issues and a source of versatile cooking and medicinal benefits. Read more articles about Caihua.